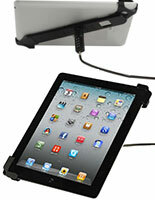 This iPad enclosure with cable lock is a perfect accessory for commercial, business or personal use. 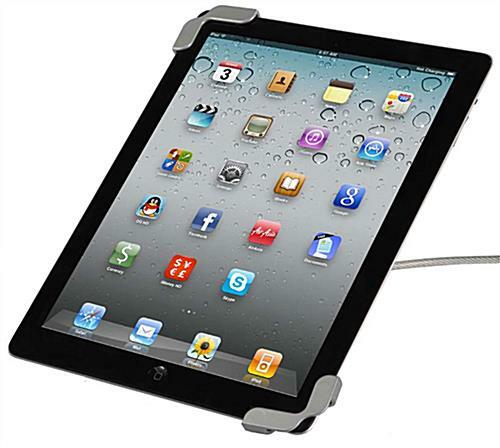 The simple universal holder grips any tablet up to 10" by the edges, locks on, and comes with a 6-foot metal security cable. 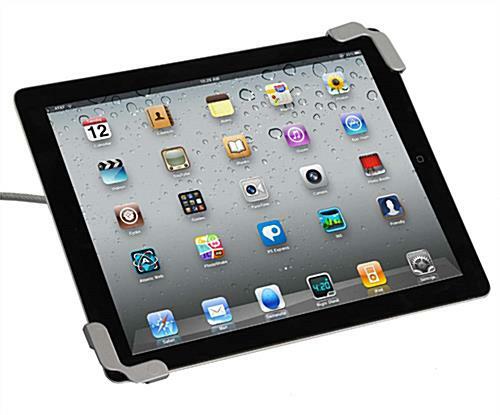 The silver finish enclosure with cable lock is made from durable zinc alloy and will fit a wide variety of devices, including Apple®, Samsung and many other manufacturers. 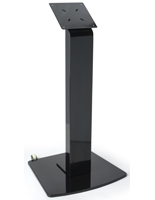 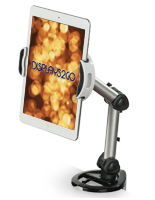 Each tablet security device protects while the devices are being used as handhelds, and the 4-pin rear lock also functions as a desktop stand base for tabletop use. 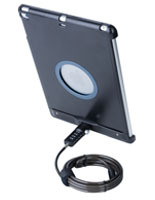 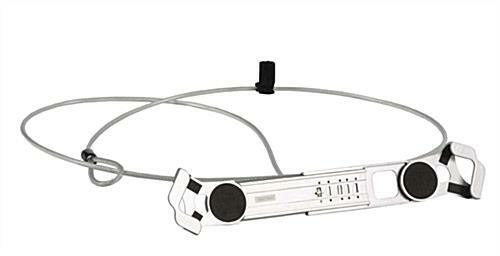 This versatile enclosure with cable lock is designed to attach to almost any support the cord can be looped around. 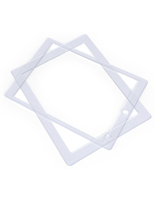 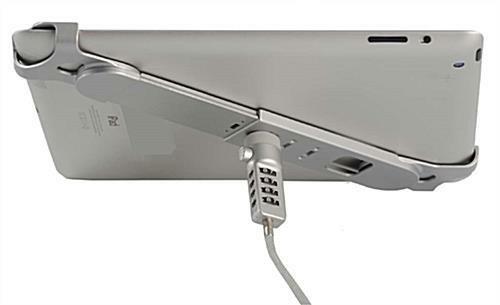 This type of universal holder is one of the best tablet accessories for multi-function devices that need to be both easily portable and highly secure.